With each passing fall day, the weather is getting cooler. Sometimes I forget and open the door onto our backyard deck, thinking I will be gently greeted by the soft warm air. The crisp cool rush of air against my face quickly reminds me that those even 60 degree days are now past. So, I slept in this morning, so reluctant to emerge from my warm cocoon of blankets and comforter. Do people hibernate? This time of year puts me in that mode. This late morning I am sipping a cup of rich darkness, an Assam from the Nahorhabi estate. As you can see from its photo, it has a good amount of leaf tip (the yellow parts) to it. I think that this brings smoothness and more complexity to the cup. I steeped the leaves for 5 minutes in boiling water. 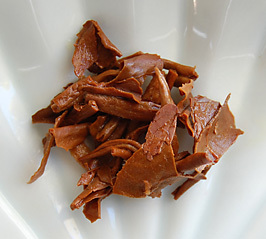 The leaves are a German chocolate brown color and the aroma is distinctively malty and sweet. The tea itself is a warm russet brown and fills my mouth with rich malty notes that linger with a gentle pungency. This tea is so incredibly rich that I think it would stand up very well to milk or cream. I’ve added some half and half to my cup. Its creaminess brings out even more maltiness in the tea. I usually don’t add milk or cream to my Darjeeling tea but I do like it in the darker, more full-bodied teas like Assam. For me, it smooths out the astringency that I find present in most Assams. Today I am treating myself with a trip to the hair salon. Between the gorgeous color of this Assam and the blazing leaves outside, I am getting some interesting ideas. 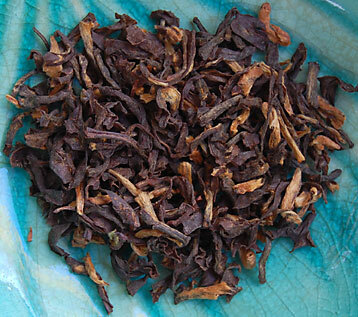 This entry was posted in Black Tea, Life Musings, Photography, Tea and tagged Nahorhabi estate Assam, tea review. There is a little somethin somethin for you at my blog. Hi Kelly, I have tagged you for a meme. That tea sure looks good. Time to brew some. those leaves are so red, they remind me of roasted red pepper skins! Came to your posting here from a link on the Tea House Kwan Yin in Seattle forum. I am a tea connoisseur and love tea. I have found that Assam astringency is related to how long you steep and temp of the water too. The tannins responsible for the “bitterness” often found in Assam teas comes out quicker with high (boiling) temps and steep times over 2 minutes in most Assams. I routinely steep my Assams 2 or 2.5 minutes max. I cringe at 5 minutes steeps since I know that it will be bitter then. I realize that milk/cream/half-n-half help dilute this. I believe that is why the Brits and others who are known for putting milk based products into their tea…since they put the loose leaves directly in the pot without a filter to remove them after 2-3 minutes. Some people may like the astringency, however I don’t. So I would suggest to those who don’t, try a shorter steep time of about 2 minutes or at most 2.5. Interestingly, this steep time suggestion and astringency issue doesn’t usually appear in China teas for some reason. That has puzzled me. Thanks for stopping by and offering your personal steeping suggestions. As everyone has different tastes, I think it’s really important to take someone else’s advice as a guideline only and experiment to see what works best for you. Personally, I don’t find high-end whole leaf Assams bitter at a 5 minute steep time but….everyone’s different. Yes, I agree. 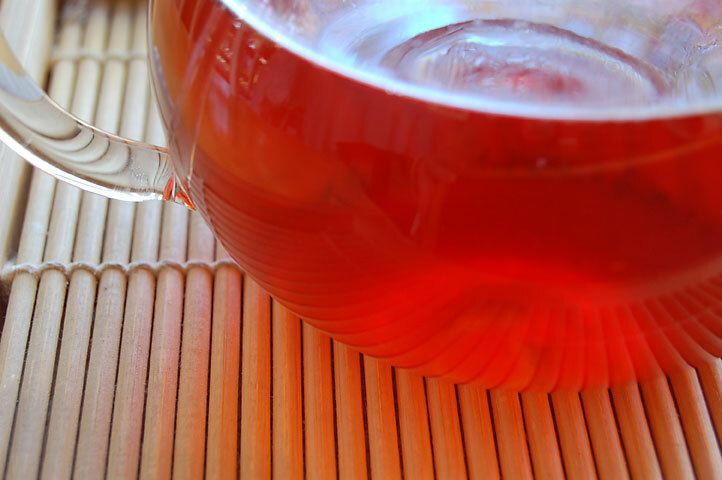 China teas are much smoother and can take longer steeping times than Assam teas, probably because of various factors such as they come from different variations of the Camellia Sinensis plant along with being grown in different countries and thus different climate and soil conditions. Thanks again for stopping by and sharing! Yes I was offering my experience as a suggestion. I always shop for high quality teas and of the Assams I have tried (I have tried quite a lot) I have yet to find one that didn’t turn bitter after 3 minutes of steeping. If you know of some I’d be happy to try them. I also am aware that some people have different sensitivities to bitterness in tea. My wife is far less tolerant of bitterness in tea than I am even. So yes, each person will need to decide for themselves what they like. I don’t claim that my likes are the same as yours and that one is better/worse or right/wrong. I’m only pointing this out since many newer people to tea don’t know this about steeping time. I think the tea industry in this country has done a huge disservice to the promotion of tea since they routinely offer tea bags with instructions on the packaging to steep 5 minutes. Bags have fannings or “tea dust” in comparison to full leaf teas and the steep time requirements drop even further as the water penetrates the inner core of each particle far quicker than a broken leaf or full leaf. Many people who don’t like tea will often say it’s because it’s bitter. Well no wonder… with improper steeping times offered on the packaging. If more people could experience a loose leaf cup of tea steeped properly to extract the full flavor and no bitterness I think you’d see a stronger following of tea in this country… IMHO. Thanks once again for sharing, Bruce. BTW…I wanted to compliment you on your web site tea photos…VERY NICE!! I’m also into photography and after I browsed through some of your other postings I really enjoyed viewing your photos. You have a good eye for it and the details of the close-up photos are again… really nice!! I hope to enjoy the posting text later when I have more time to read and enjoy that too.